Peep Peep … The alarm clock again. Today, i.e. 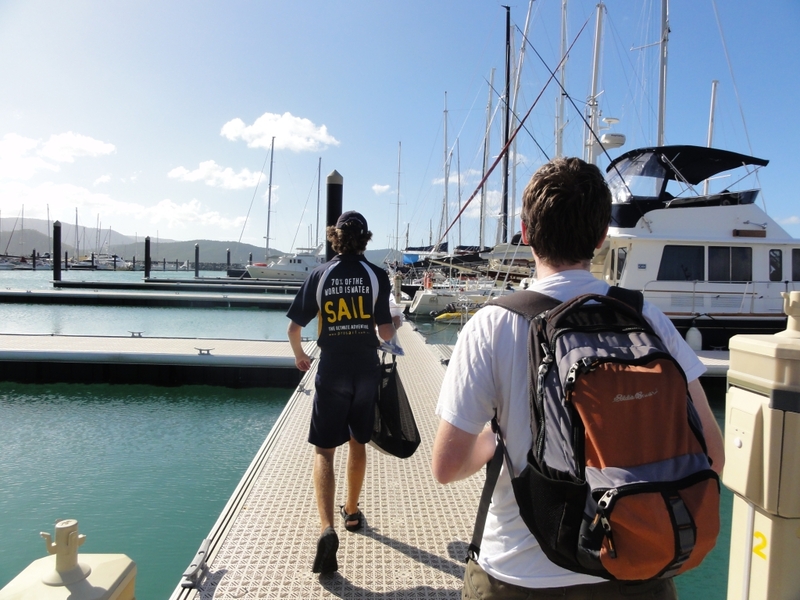 28 January 2011, we had again to get up early, because at 7:10 am we were ready to hit the Great Barrier Reef. Most of us were on time. 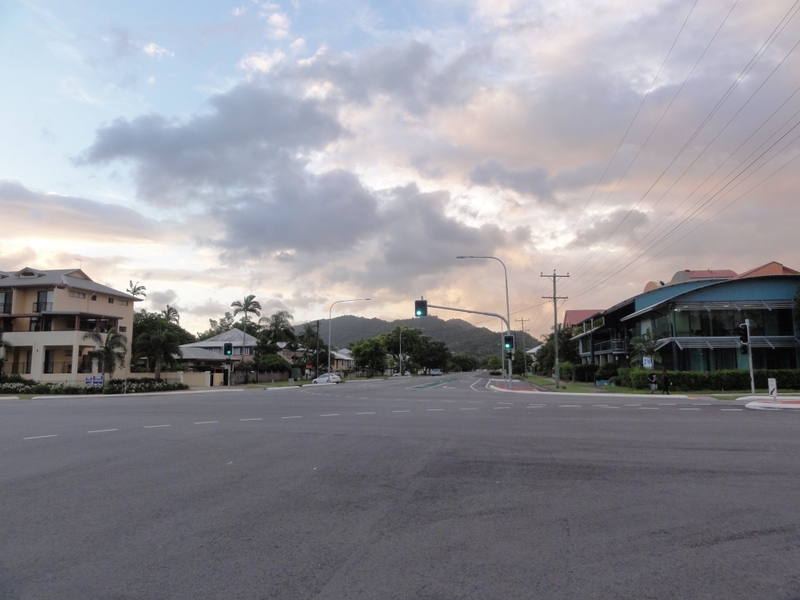 Youngy drove us to the port of Cairns, just a few meters away from Dundee’s Restaurant. 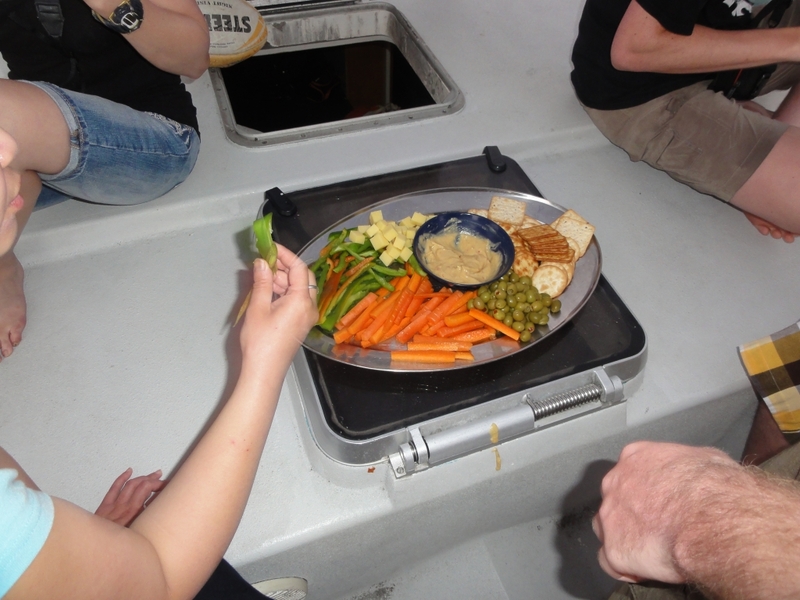 There we entered a large boat with some non-Contiki people. We went first for a longer time on to the open sea. 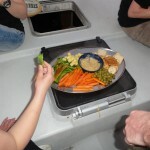 Glass-bottom boat, snorkeling and small snacks. 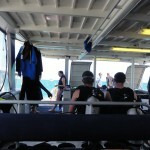 At an additional cost you could also book real dives (scuba diving). 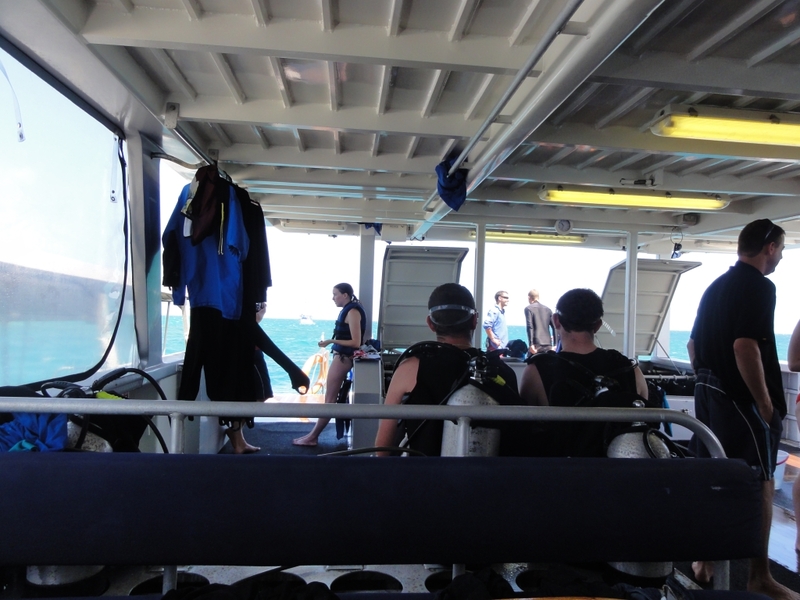 During the trip we did stop several times, either to ride with the little glass-bottom boat , or scuba diving. when you hear someone speak with french and Australian accent. At our second Stop, I decided to go out snorkeling. While I was holding me on a ring and moved forward with dolphin fins , I was guided by one of these attractive Aussie girls working of the the Great Barrier Reef Tour team. 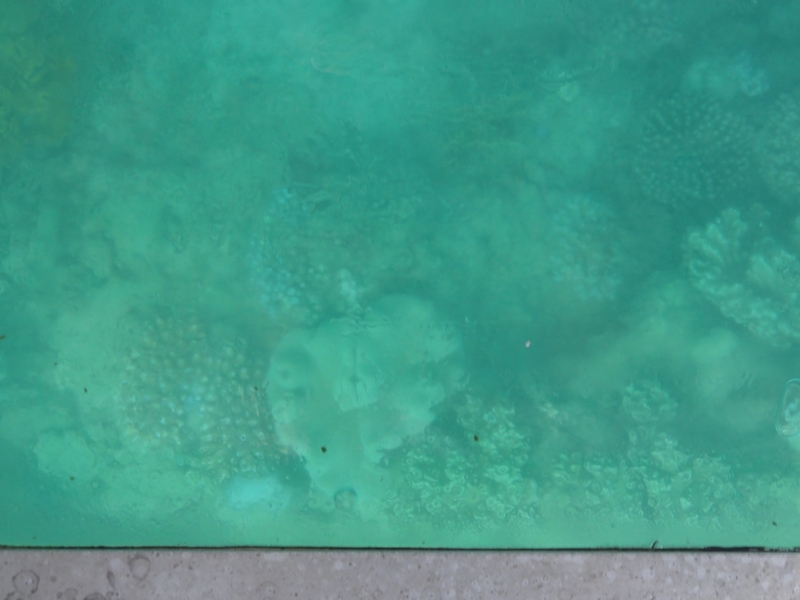 She took Photos of me and the fish in the Great Barrier Reefs. She was using my disposable underwater camera, I bought before. I’ve never snorkeled before, and then the first time right at the Great Barrier Reef (in the middle of the open sea), is therefore very special. Today was the last full day of most tour participants. 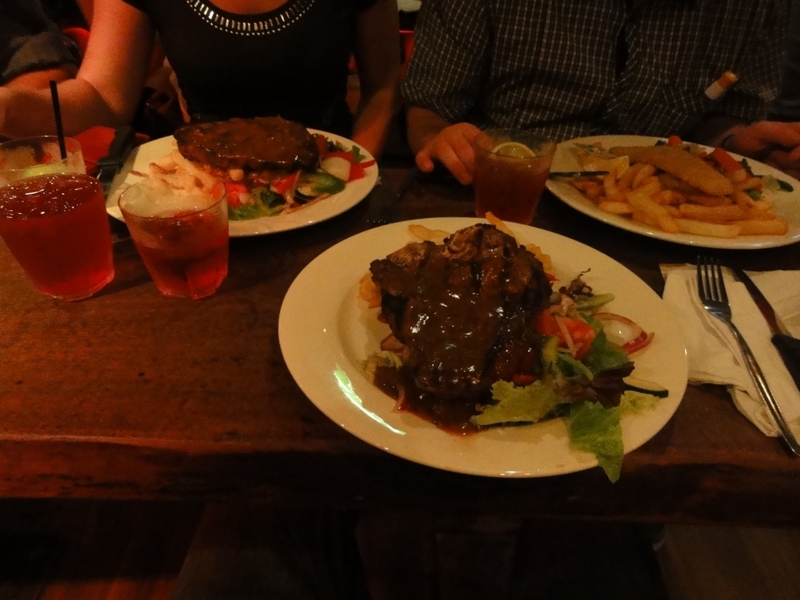 Therefore we had a small party with good food in Whoolshed, Cairns, the most popular backpacker bar . T-bone steak for $ 15 AUD is a good deal. The bar was filling up slowly with other people and it got larger party. After a really generous breakfast buffet, including espresso, it was unfortunately time to say good bye to few tour mates. 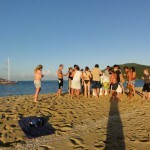 For some tour mates Daydream Island was the end of the tour. During our ferry took off, we waved after them a long time. But it also meant to know three new people. 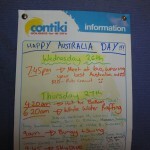 For three Australian girls Daydream Island was the beginning of the tour. After a short trip to the mainland, we waited briefly on the coach, and bought some cool beverages. Then came Youngy with his beloved coach, we packed up the luggage and the journey continued. 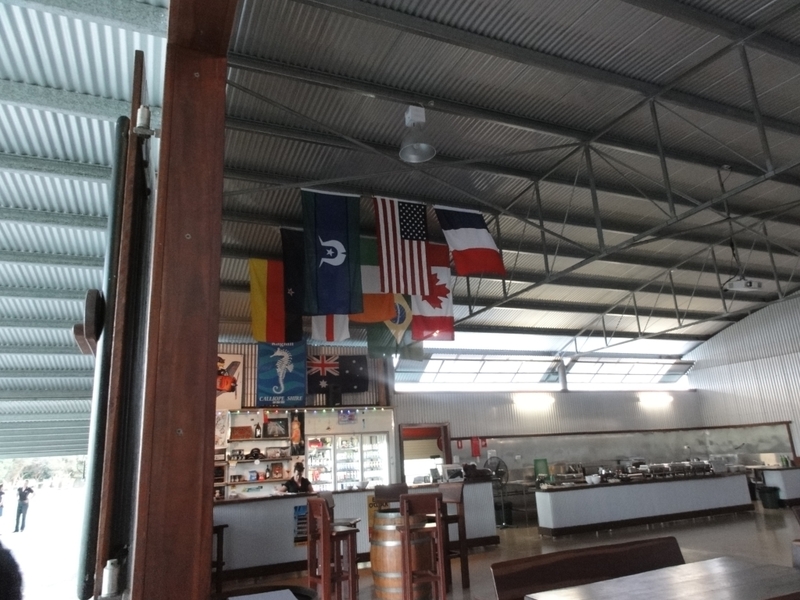 Australian flags were hanging everywhere inside. Why? It’s Australia Day! 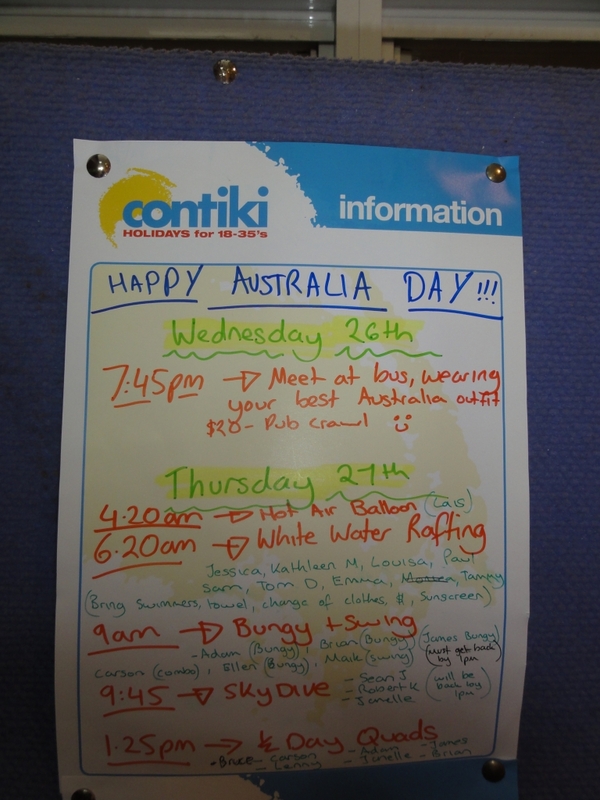 Australia Day is one of Australia’s national holidays. Most stores are closed. 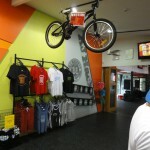 At night you can see many people with faces full of makeup and colorful clothes in the national colors of Australia. 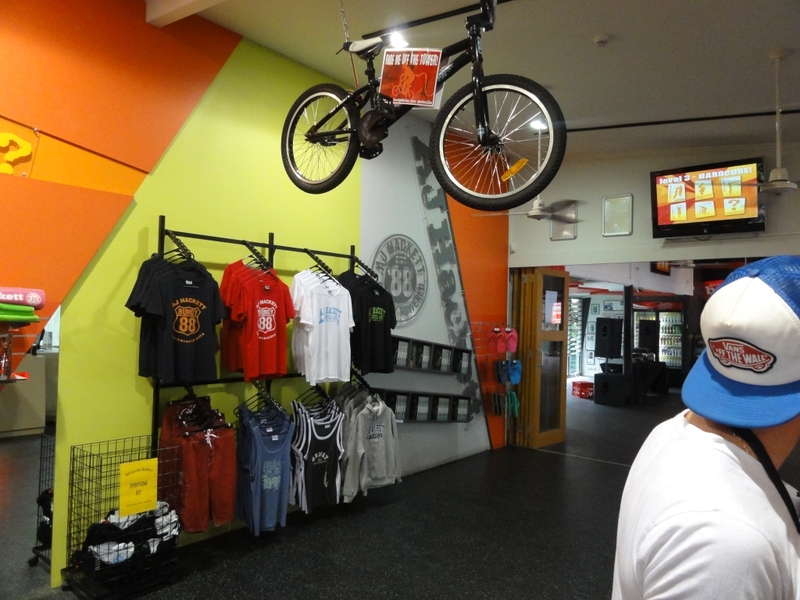 We took a break for a few hours in Townsville at a shopping center to prepare for our Australia Day. I bought a green / golden T-shirt. Others also makeup. 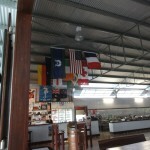 Our accommodation in Cairns is the Cairns Colonial Club . Somewhat remote, but a relaxing resort, with pool and bistro. Tonight we had a big event again. 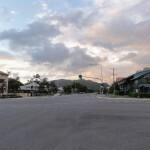 A pub crawl through Cairns. 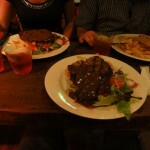 $ 30 AUD today for dinner, VIP access to 4 pubs / night clubs, as well one free drink at each venue. here we got first to bite something. 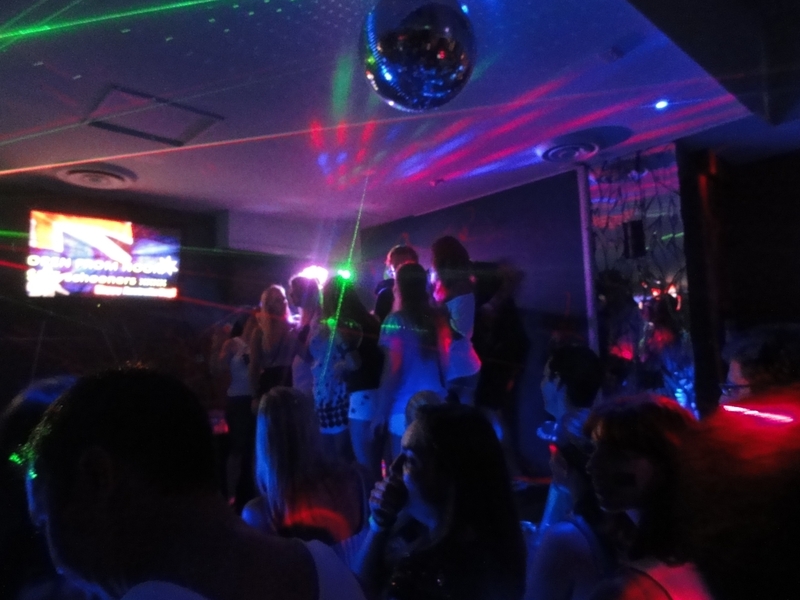 Then went from night club to night club and bar to bite bar including ( 4 venues), Dacing and games. One of my tour mates lost his shoes and socks. In another venue, there was a Toad race. 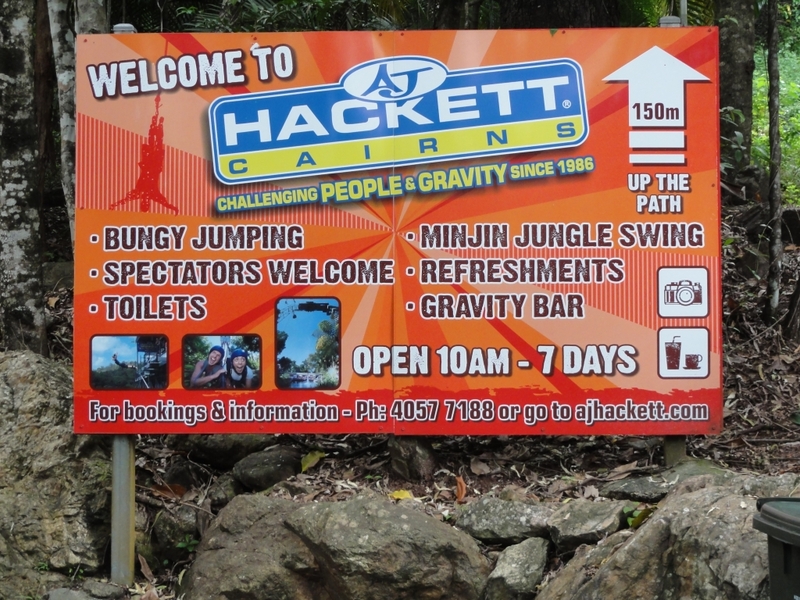 Here, a tour mate has even won free bungee jumping. 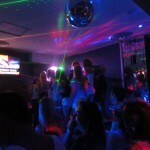 Australian girls and Australians in general can party! the big way! That rumor is definitely true. At some point a few tour mates including me took a taxi to the hotel. 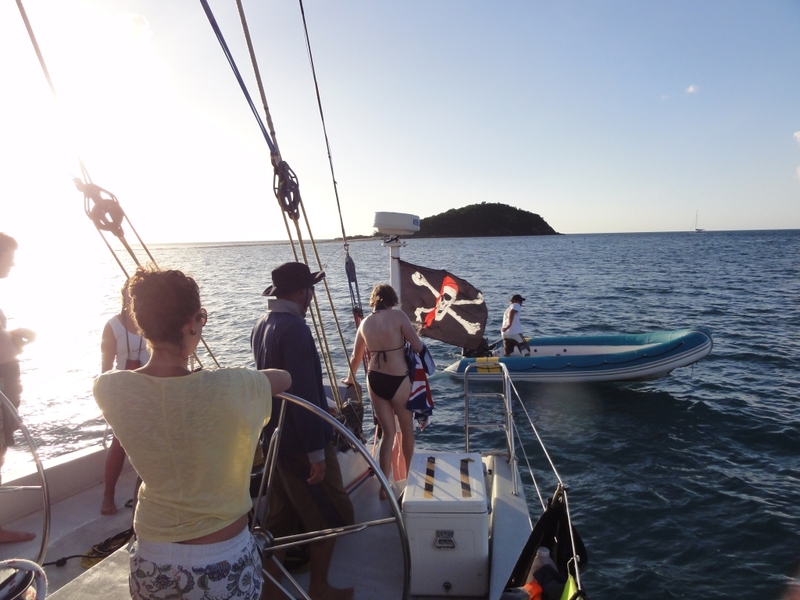 The third day was much more relaxed sailing, there were only a few races and “attacks”. 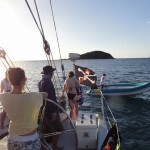 Around noon we arrived in front of Daydream Island, where we first had to wait for the Condor. 🙂 Hammer wins! Before we landed, we all filled out a feedback form and promised to join the Facebook Group of the ship. As we entered the island, we were the first shell necklaces around the neck. Hawaii vacation feeling! The entire resort occupies almost the whole island. Various buildings, pools, attractions, restaurants and shops forming the island. Our room was okay, for Contiki, 2 Bunk beds were provided ​​instead of a king size bed. We had an ocean view room with shower bathroom. I believe around 4:30 in the afternoon we did a tour of the facility, The island is home of many fishs, rays and sharks (and gorgeous female tour guides). I held for some time a mini-shark. For tonight we had planned a pool party after dinner. First we had to do a mandatory group photo then went for dinner, which was really good, it costs just $ 20 AUD. 7:30am, time to get up. We went straight to breakfast because we wanted to save us the time to shower for tonight. We had only 60 seconds per day for a shower. For 3 days that’s just 3 minutes. 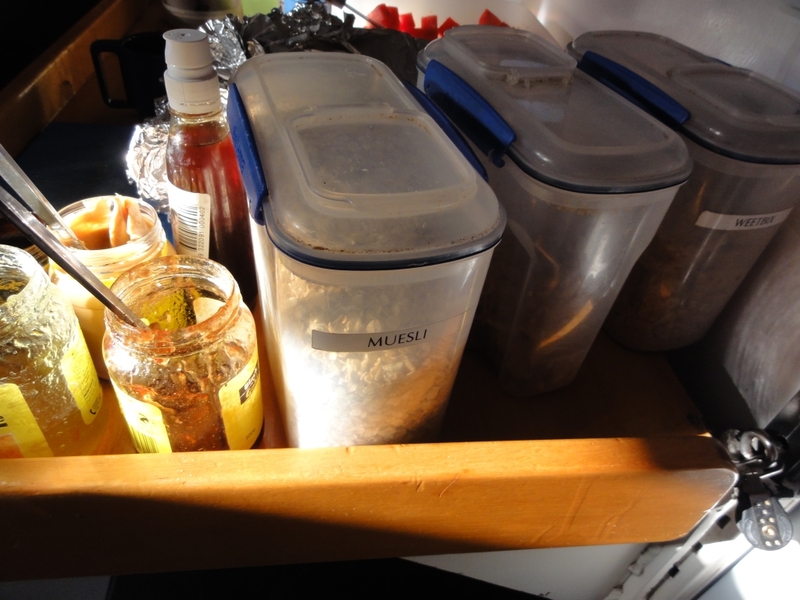 For breakfast they offered cereals, fresh fruits and white bread. Of course, I tried again Vegemite. Many Europeans would probably spit it out immediately because they do not like the extreme taste. I think it’s okay. 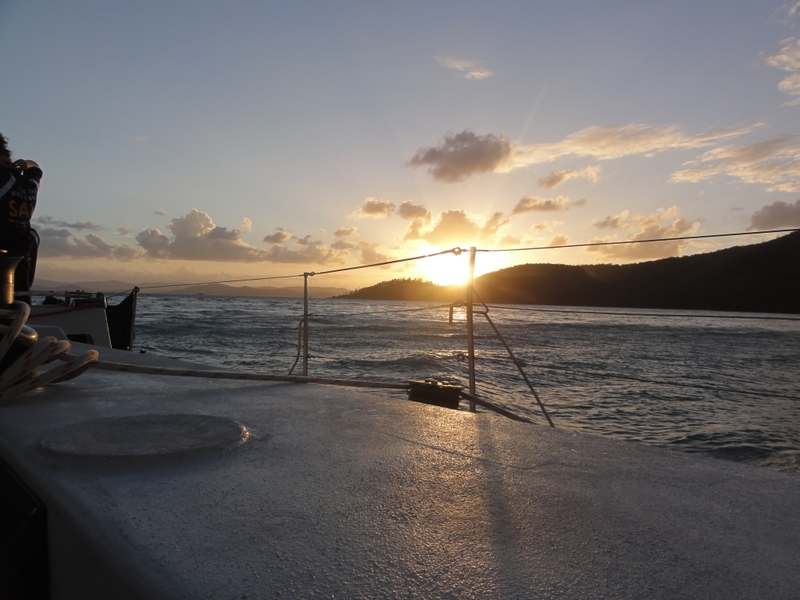 We sailed again until 9:00 in the morning, then we took a boat to Whitsunday Island. 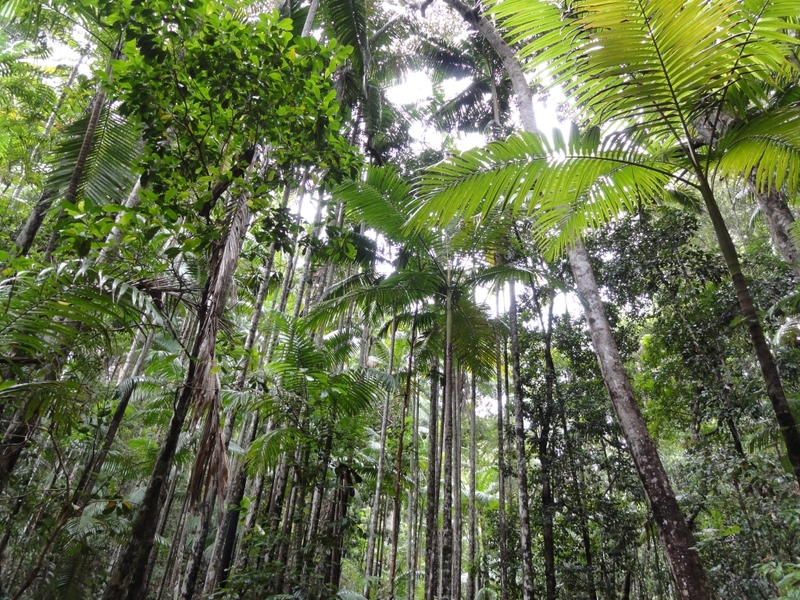 first we had to walk across the island and through the forest. After the forest we were standing at an observation platform, where we did again a group photo of us, the Contiki group of the hammer. 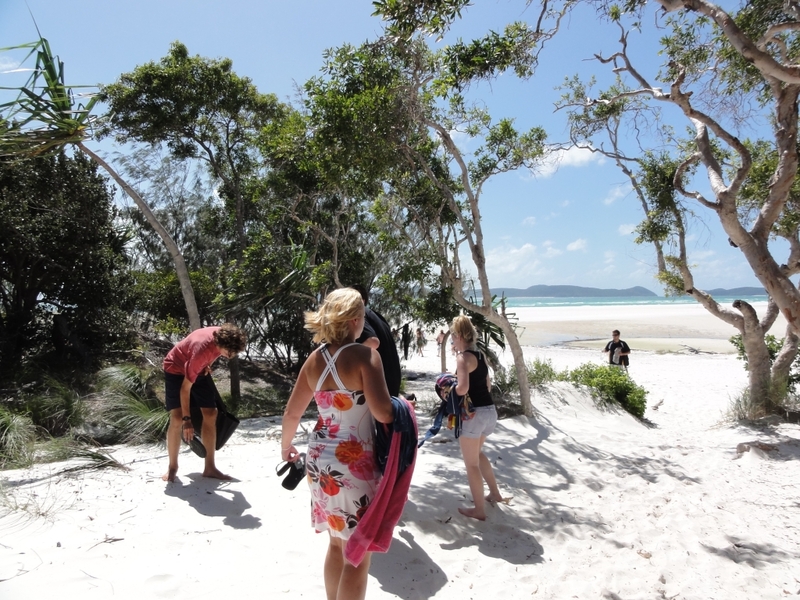 At Whitehaven Beach it’s not allowed to wear shoes , so we put our sandals under a shady tree. 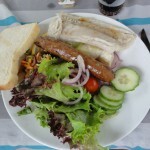 enjoyed pastries and salad for lunch. As always, delicious. 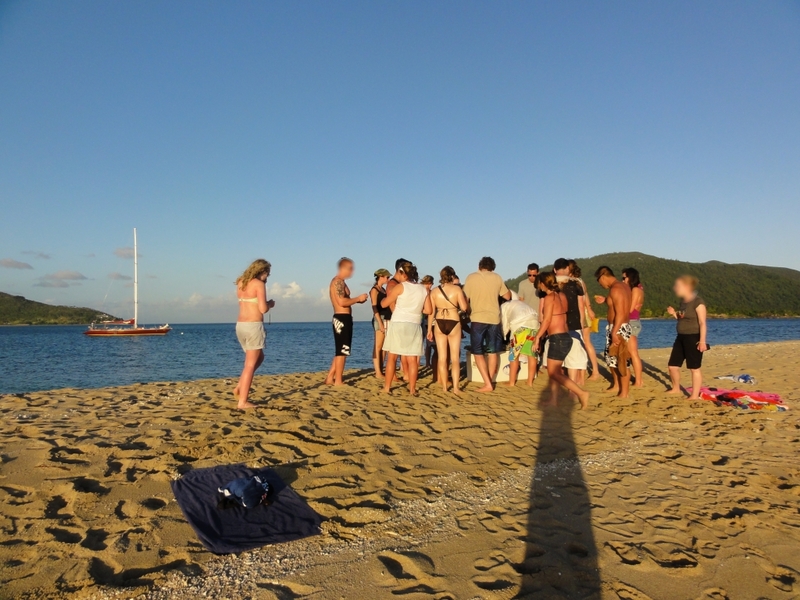 After several hours of sailing, including many “attacks”, we set in front of a sand bank and took the raft over. There we had cold drinks and nachos for dinner. Some tour mates collected shells and took pictures. 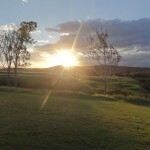 For today, we were promised the stay at an original Australian farm, Country Homestead. Prior to it, we had to get back to the mainland. All were excitingly waiting for the ferry and although there was a latecomer to the pier, but all reached the ferry on time. After a short ride we were back in our comfortable bus. 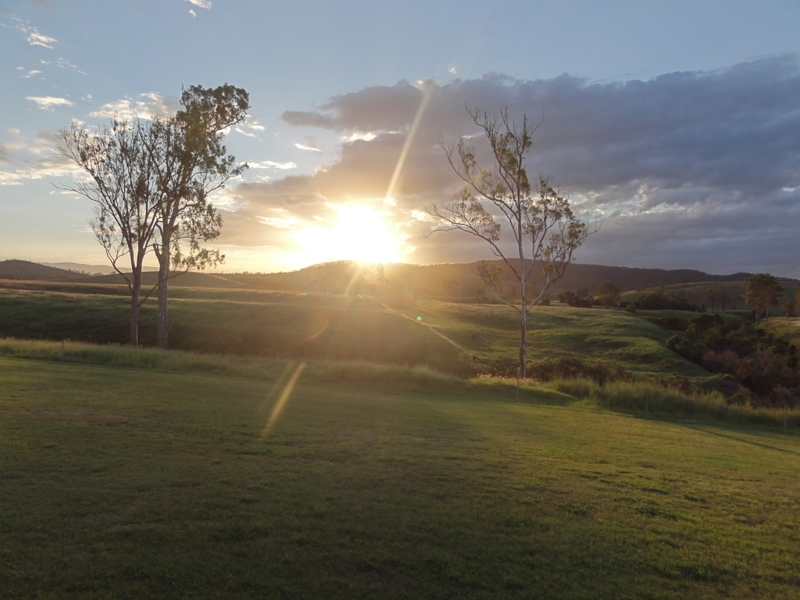 After a break we arrived 6 hours later, at 5 clock in the afternoon the farm, just a three-quarter hour from Rockhampton. Usually, for Contiki there’s always been taken ​​a trip by truck through the area, this was due to the flood a few weeks ago in Queensland not possible. The water of the creek was still too high. While we waited for dinner, we enjoyed ourselves with the little children of the owners. Some other tour mates played soccer with the son. a really delicious dinner we went to the whip swinging. We were shown how to properly swing a whip, so that bangs in the air. Most tour mates including me got through the course. Why is swinging the whip so important? In this area there are many poisonous frogs, bites from these toads are fatal. What is done with the whips ? Right! During the the evening the fun really began. Karaoke! Many people (including me) dared and warbled whole songs into the microphone. During the karaoke evening some tour mates (Kat, Louisa, Sam, Shaun, I) created a Facebook group. “Dirty bit” is the name of the group. We named the group name after our morning song. Every morning, Justine played the song “The Time” (Dirty Bit)” by Black Eyed at beginning to wake up everyone and to have an even better mood. Every Contiki tour, whether Australia, New Zealand or the USA, has its own song. 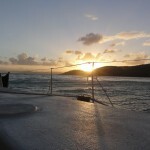 Sailing in Australia? Sure thing! In the next post more about it! 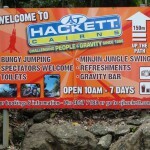 We’re now ready to hit to Fraser Island. Most of us opted for the expedition. Two huge buses that can drive through deepest waters, stood in front of us. 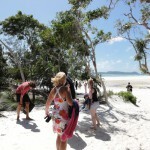 Fraser Island Discovery is the name of the tour operator. 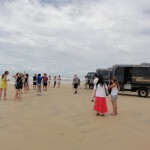 We climbed into the buses and our tour to Fraser Island started. At the beginning we rode on normal roads, then at some point on dirt roads. I think it was shortly before 10:00 when we had a stop near the cliffs, still on the mainland, to take a breakfast break. 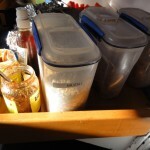 They offered instant coffee , cupcakes and juice. Many of us took photos of the cliffs. Then it went on. We traveled over a sandy path that leads directly to the beach. But before we went to the beach, our driver stopped briefly and explained what we should do, when we meet on dingos and crocodiles. We reached the beach ,in front of us was waiting a ferry. The two huge buses drove up . 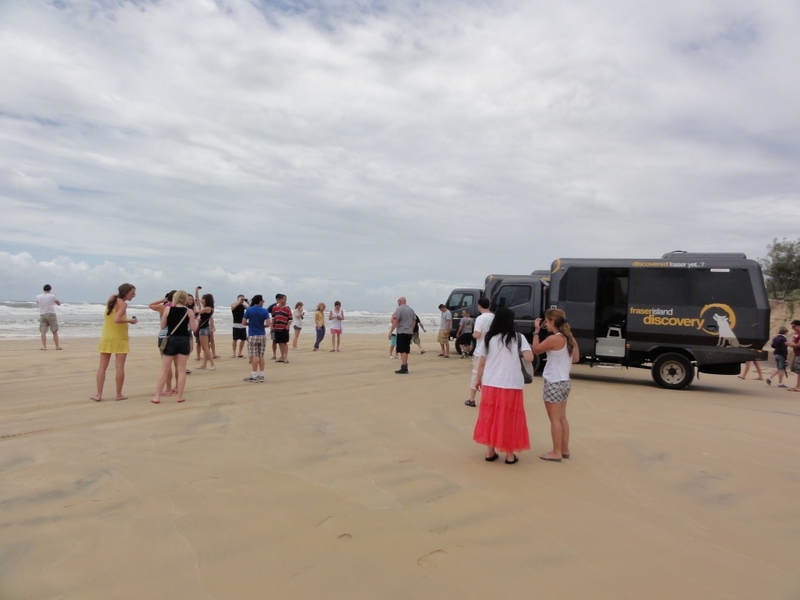 Then the ferry transfered us to Fraser Island. At Fraser, we were leaving the ferry on the beach. We raced at high speed along the wet beach. Then we made a short stop. A dingo ran past our bus. Zeit für Fotos von Dingos. 🙂 Then we went down the beach. A short time later we saw a whale on the beach he was probably washed ashore. The driver got out and asked a man who already took care of the animal, what had happened. Further along the beach! About 15 minutes later we were allowed to walk on the beach. After the obligatory beach photos , we were asked to put our cameras on a towel. Group photos! We all posed ourselves for the photo and the two Fraser Island experts took one camera after the other and shot the photos. Why some of the girls suddenly started to laugh loudly turned out later. Middle of the island. where we first made ​​ourselves comfortable and jumped into the water. The temperature at this season is really excellent. To complete this real good morning, we went to lunch. 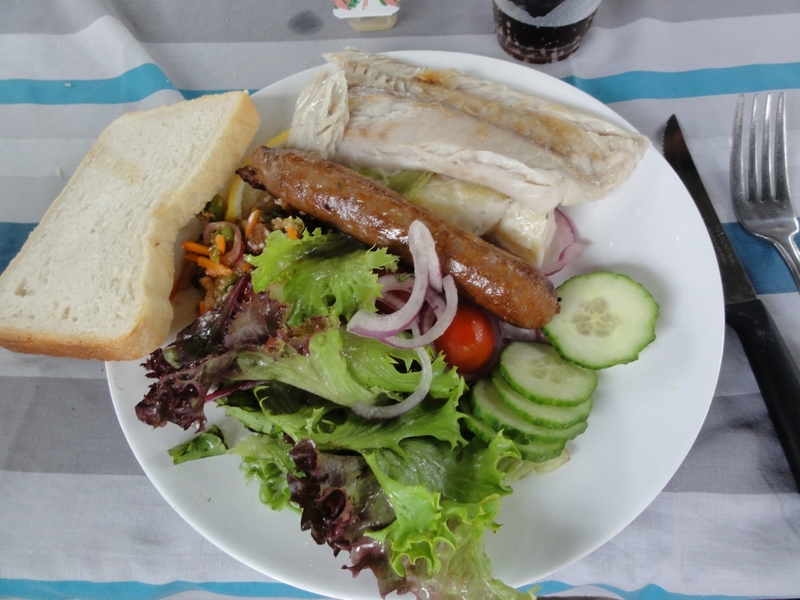 As previously ordered, it was fish or grilled meat with fresh vegetables and bread. Really tasty! After lunch we went to our today’s accommodation. 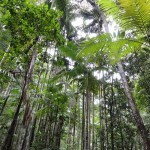 We had all been excited to see what “Eco Lodges” on Fraser Island would mean. A house with sliding doors, a central room with a table, two bathrooms and several smaller rooms in which are each 2 bunk beds. In the evening we went to a restaurant on the resort and enjoyed a pizza , the pitcher of beer were distributed even across all of us. Some tour mates enjoyed the night with a lot of alcohol in one of the other bars, some other the intimacy of a walks through the resort. Most of us went to bed early in order to pack the suitcase in the morning.